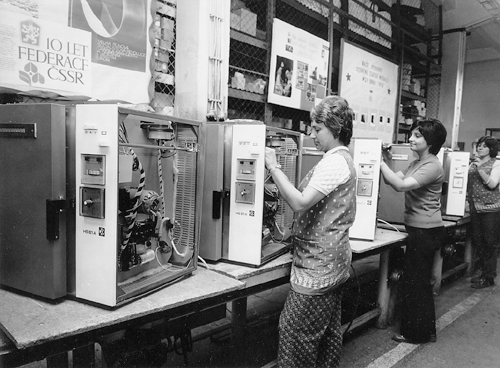 BMT Company history - BMT Medical Technology s.r.o. History of BMT Medical Technology s.r.o. The tradition of medical technology production in Brno dates back to the year 1921. Small firms engaged in production of medical and laboratory technology joined together step by step and specialized in the field of steam and hot air sterilizers and X-ray units. By finishing the process of joining the enterprise Chirana Brno s.p. came into being in 1952. This firm achieved the international level in the production of sterilizers and X-ray units. The firm’s modern history was founded by entering of strategic partners in 1992. 1992 – privatization of the company, renaming as BMT a.s.
1995 – In the end of 1995, after resignation of the company M. Schaerer and takeover of the package of its shares, the company MMM Münchener Medizin Mechanik Gesellschaft mit beschränkter Haftung with its registered seat in Munich became the sole majority shareholder. Then, our company BMT Medical Technology s.r.o. joint the MMM Group and makes a concern with it by now. The history of the company is connected with the foundation of medical technology production in Brno in 1921. By that time following firms were founded: Aparatea (production of steam sterilizers), Pučan a Pospíšil (production of laboratory devices and chamber X-ray units), Ing. Hrůza a spol. 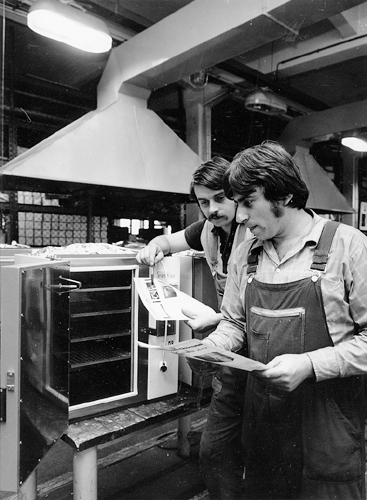 (production of X-ray units for diagnostics) and other firms engaged in the production of hot air sterilizers and other medical devices. In 1952 these firms were united under the name Chirana and the production was transferred into the present seat of the firm. National enterprise Chirana developed gradually, changed into a concern with the seat in Stará Turá in Slovakia and was able to employ ca. 15 000 people and cover almost all spheres of medical devices with its production. Due to the activity of its employees Chirana Brno achieved an independence in form of a state enterprise on 1st July 1989 and so its management had the opportunity to obtain new experience with managing such a company. This leading position proved to be very important in 1990 and 1991 during the preparations for the company privatization, which was carried out in the first privatization wave. Active negotiations enabled the capital entrance of two prominent European producers in the field of sterilization, firms M. Schaerer (Swiss) and MMM (Germany). 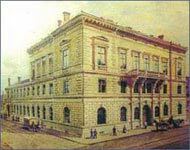 By founding the joint stock company Chirana BMT Brno a.s. and the subsequent changing of the name to BMT a.s. the headstone of the modern history of our company was laid, which resulted in the know-how transfer, modernization of the assortment, production and a long-term stabilization of the firm. Especially during 1992 – 1995 the new territories, obtained in this way, represented the crucial security, which compensated the insufficient purchasing power on former markets of Eastern Europe, inclusive our country, during the time of healthcare privatization. At the end of 1995 MMM took over the shares of M.Scharer and became the majority shareholder of BMT a.s. In 1996 the new dynamic period of the firm expansion in the inland and abroad was started. There were developed new lines of competitive strong products that earned customers’ confidence and the firm position on the market in more than 70 countries worldwide. For the sale support new subsidiaries were founded, as in Moscow and Novosibirsk (Russia), Piešťany (Slovakia), Krakow (Poland), Kiev (Ukraine), Madrid (Spain), Woodinvill (USA) and majority shareholding in the company MMM Medcenter (Germany) was obtained. The sale and service network covers all continents.